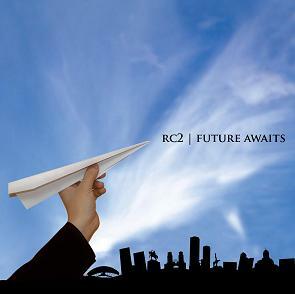 RC2 is a Venezuelan progressive rock band. This looks to be their second full length record since their inception in 1999. Like many of the other bands on this record label, this is very melodic music but often mixed with some intense playing and song structures. The opening track Time Pieces demonstrates all of these aspects, mellow, heavy metal, power riffs, spacey, cool synths, ending in an amazing 10 minute opening number. The title track is next and starts with some nice piano and remains a ballad until the last 3 minutes of the track when the guitar solo kicks in and then things really pick up. 11 is a bit like Tool meets Queensryche until the break part. There is some really intense and great interaction between all the players in the middle section of this track. Autumn starts off with a great blues guitar solo before the track develops and features some keyboards that sound like flutes. Beautiful singing as well. El Diablo Suelto is an instrumental track with a Hispanic guitar and very beautiful music. Coming Down Again starts with a super cool bass line and great piano line as well before the guitar comes in. That is a really cool song. The CD ends with Voice of the Storm in two parts. It ends the record in a very different way and vibe from the beginning. A very interesting and amazing CD.